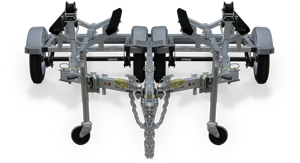 Our unique 48” wide trailer chassis is the foundation for the “TW-N-ONE” system. A frame and tube design offers simplicity and style coupled with strength and durability. You can start with a straight tongue basic model if you’re on a budget. 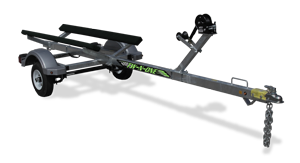 Or purchase the ‘‘ULTIMATE”, a complete double jetski trailer. Either way you can build a "Two in one trailer” of your dreams. 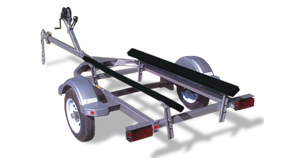 Our accessories are designed to interchange, providing you with the “ULTIMATE” trailer at a moment’s notice. *sale price is for factory pick-up only. Dealer prices may vary. This beauty is “double ready” If you’re sure to buy another or need a third, You’re set! It’s ½ of our “Double Ultimate”. Featuring a Full bumper with sealed LED lights, 12” tires and Heavy-Duty bracing. * price is for factory pick-up only. Dealer prices may vary. You will find our “TW-N-ONE” jetski storage cart a welcome addition. This affordable tool will provide a seamless transition between all of your attachments. Quickly unload your machine! Now it’s safe yet mobile and you’re off writing the next chapter! This great trailer will get you into the game without spending a fortune. Based on the TW-N-ONE’s 48” chassis, it can be converted to a double later on so you won’t need to trade it or sell it if you buy a second toy. It will also accept all of our attachments. It Features Hot dipped Galvanized finish, 1000lb Winch with strap and submersible (not sealed) Lights. Purchase a flatbed, a +1 kit or just enjoy it as is. In less than 1 minute, make your TW-N-ONE a true "Two in One". 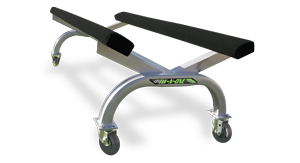 By adding our flatbed attachment you can mix and Match your cargo. 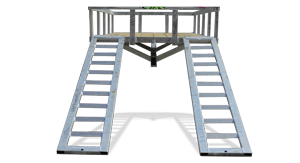 Purchase only the platform at first, then add ramps, rails and a winch post only as you desire. All hardware is included and no drilling is required. Add a swivelling tongue or Mag wheels. * Price is for factory pick up. Dealer prices may vary. 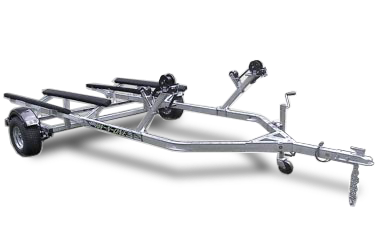 Our double PWC trailer is built “Heavy-Duty” and crafted with the same quality and engineering as our attachable doubles. 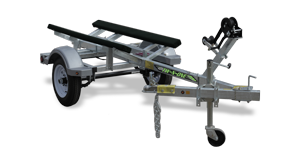 Although this trailer doesn’t separate, You can still purchase a flatbed attachment and have a true TW-N-ONE!! *sale prices are for factory pick-up only. Dealer prices may vary.